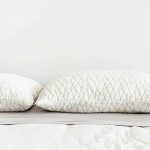 Over the years, research has shown that correct support is key to a good nights rest and it aids in the bodies recovery. It’s why Hospital beds work the way they do; they can be contorted to get the best sleeping position for your needs. It’s also why we are starting to see more adjustable beds like those in the general market. Adjustable beds are the pinnacle of sleeping luxury. They make sure you wake up each morning feeling fully rested and recovered. 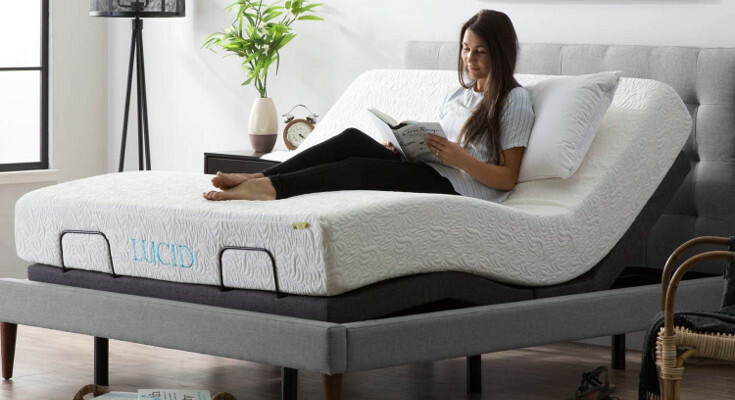 Today, we’ll be talking about the best adjustable beds on the market. There are dozens of dozens of them out there and we’ll be explaining to you how to get the best one for your needs and for your wallet. Check it out below. 2.1 Are They Right for Me? 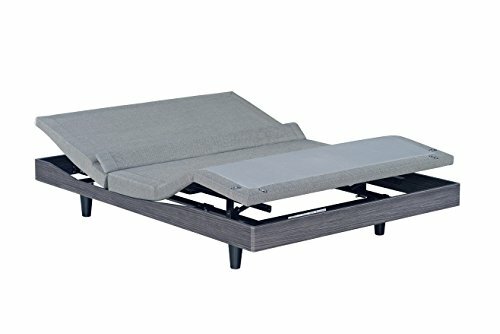 Should I Get an Adjustable Bed Base? 2.4 Should I Get a Warranty? The Reverie 9T is Reveries most expensive, premium option. The 9T is a bed base that comes with presets for zero gravity (ZG), anti-snore and flat positions. It has two programmable presets and lumbar support which can be adjusted to the degree. The bed can basically articulate to any position you want which is perfect if the standard mode doesn’t work for you. It uses a wireless OLED remote to control the bed and uses an IOS app that can be used to set comfort settings, routines and alarms to run automatically. That’s right an alarm. Usually, it’s the bed that makes you snooze, but this adjustable bed can wake you up. Finally, it features a long 20-year limited warranty. The bed is only the costly side and might not fit most peoples budgets. If you’re looking for something more affordable, the Reverie 8 Series is a similar but cheaper option. Customizable lumbar support, fine-tune the bed’s position until it works perfectly for your back. The Classic Brand Comfort Base is an affordable, adjustable bed frame. It comes in a bare shape, which allows it to have ample space underneath. This space can be used as storage or for whatever you want to use it for. It features a wireless remote control and a massage unit for gentle vibration when you want to relax. The remote control has a torch which can be pretty handy in some situations. The bed frame is easy to assemble and take apart, and the legs can be made longer or shorter, to increase or decrease the height. However, the bed frame does not move independently and you’d have to buy a split king-sized version to have access to that feature. Check out the Lucid L300 for a more affordable split king option. Finally, the bed features a warranty for a short 3 years. Excellent customer service in case any issues need to be resolved. Only has a 3-year warranty, beds are there for long-term use and should be covered accordingly. Some beds come with defects, we’ve heard of multiple people returning their beds, but also getting new ones that worked fine. The legs are a bit weak and sometimes bend outwardly. The Lucid L300 is another affordable option. This bed boasts the easiest assembly on our list and can be put together in 5 minutes, it simply unfolds. If you’re disabled or have a bad back, this assembly option will work great for you. It has a kind of noisy motor and it allows you to programme only a single specific mode to your liking. It features dual USB ports on each side of the bed as well. However, there is no independent movement on each side, you have to buy two twin XLs to access that feature as they add up to a king-sized bed. That said, they are the most affordable option if you want two sides. Finally, it has a 10-year U.S warranty which is fantastic for its price range. We think it is the best option when you consider cost, too. Mattresses can sometimes slip off because there is no retainer to hold on to them. The Reverie 8 Series is very similar to the 9T. It has similar features like LED lighting under the bed, various presets, an IOS app, programmable features, but it is slightly more affordable. That said it is still rather costly. The bed has legs to allow for 2 different heights that can be adjusted to your liking and it is compatible with multiple headrests, allowing you to keep the headrest from your old bed. However, this bed has a fairly complicated assembly, and you’ll need to consult a Youtube video as you go along. And when it is finally put together, it will be pretty heavy. If you’re not very strong, it might be tough to move it around. Finally, it has an impressive 25-year limited warranty plus a 10-year in-home parts with free labor. I think it is the better of the two Reverie options when you look at the warranty and at the cost. 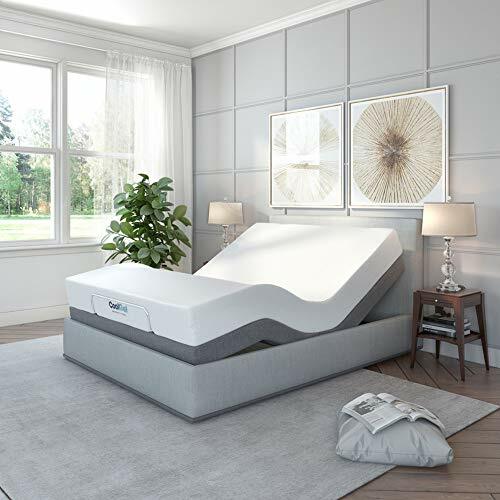 The S-Cape Plus 2.0 costs about the same as the Reverie 8 Series, however, it includes white glove delivery so the people who deliver your bed will help set it up for you. The bed has Wallhugger technology which means that the bed moves with you as the center. Other beds tend to move you forward when you adjust the bed, but this one glides you back. This allows your nightstand to be in reach no matter what position you choose. The bed also features similar technology to the 9T and 8 Series, and it has under the bed lighting, USB chargers and massage options. It does have a unique emergency power down feature, which allows the bed to go flat if the power ever goes out. Finally, it has a 25-years total warranty, showing that this company clearly believes in their product and they have confidence in it. The Classic Brands Affordomatic is well … affordable. 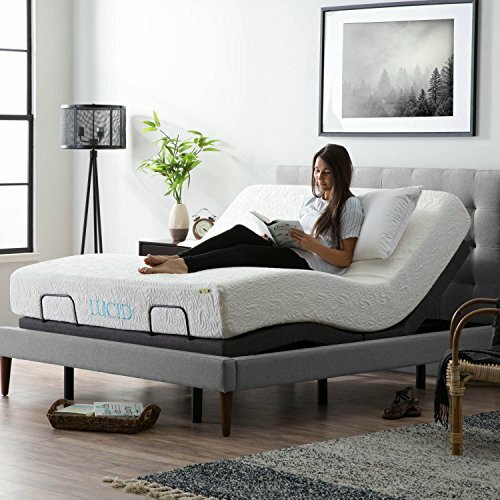 Its cost is comparable to the Lucid L300 or the comfort base. The bed features ample space for storage underneath the bed and it can be used with a standard bed frame. It features a unique wired remote, meaning you never had to worry about connectivity issues, charging or losing your remote. Just watch out you don’t sleep on it and accidentally adjust the bed frame to something weird. The bed has a foot retainer to keep the mattress from sliding. A lot of people complain about mattresses sliding off, even with the premium brands, so it’s nice to see this feature. However, the bed doesn’t have any programmable presets so you’re stuck adjusting the frame until you get it into the positions you like. This can be cumbersome to use. Finally, the warranty is only 3 years long. Check out the L300 if you need a bed with a longer warranty. Short 3-year warranty, some defects might not show up in 3 years of use. Noisy motors that might be irritating. No “flat” feature, you have to manually reset the bed which can be a pain in the mornings when you make your bed. 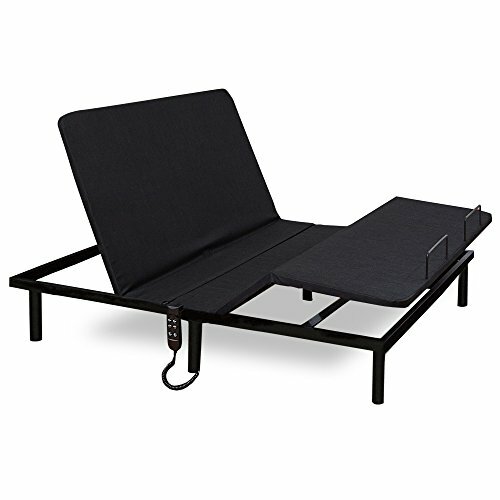 The Classic Brands Manual Platform is the lowest priced adjustable bed out there. 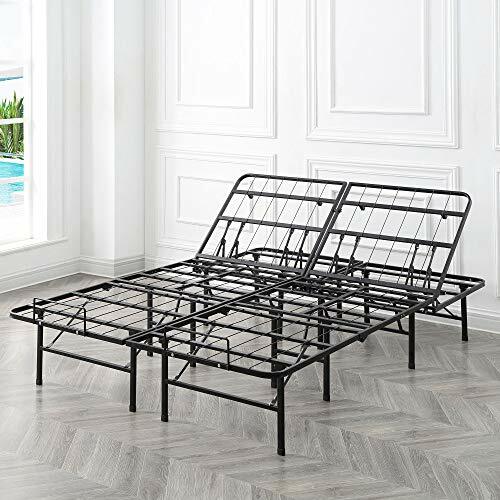 It features a heavy-duty steel frame which you can be confident will hold up your mattress with no problem. However, it doesn’t have a retainer so your mattress could slide off. The bed doesn’t have any electronics, so it is pretty light at only 70lbs in weight. However, only the head can be adjusted so it is limited. With so few moving parts, it is fairly easy to assemble out the box. You definitely get what you pay for with the Manual Platform, but it’s a great option if money is tight. But if you can scrounge up a bit more, the Lucid L300 or the Affordamatic are good cheap adjustable base options. No mattress retainer, your mattress could start slipping off the frame if there is too much movement on the bed. 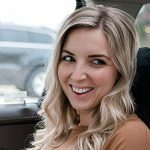 Are They Right for Me? 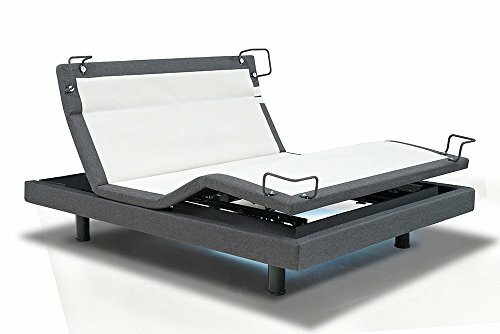 Should I Get an Adjustable Bed Base? If you have a bit of pocket money to spend and are looking for an item that will add comfort and increase the quality of life for you, then yes you should get one. If you are a bit elderly, if you have chronic back problems, problems with sleeping, mobility issues and some medical disorders, then yes. Bed bases can really be a game changer to how you sleep and how you rest. However, they are a luxury. If you’re struggling to pay bills and don’t have problems when sleeping, it’s better to look away and consider traditional beds. 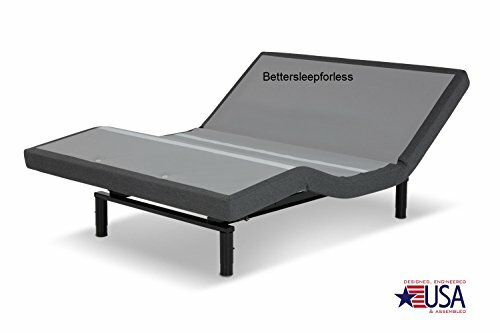 That being said, there are some cheap, manual, adjustable beds out there. For example, the Classic Brands Hercules adjustable base is affordable and can squeeze into most budgets. Lighten back pain by providing lumbar support. They can make taking caregiving easier. You can simply set the bed to an upright position to help tend to someone. Superior comfort and relaxation. The beds have various modes to help you de-stress and relax. These modes are great to use after work or if you want to read a book in a comfortable position. They are expensive to buy. You have to buy a specific mattress that can be used by it. Some mattresses won’t be flexible enough. For eg., standard spring mattresses are not compatible. They use electricity and need a spare socket nearby. The electronics they use might sometimes be prone to failing, it’s important to purchase one with a warranty to ensure against this. They need assembly. If you have a bad back or unable to, you might have to pay extra so they company assembles it for you. The adjustable bases aim to provide relevant support whether you are on your back or on your side. No matter what position you are the bases can be adjusted so your spine remains in alignment. When your spine is not in alignment, that’s when you start getting pains around your lower back area. This is the problem with traditional flatbeds, they are flat when you need a slightly curved surface to properly support your back. The bases also support various sleeping and resting positions. For example, you can rest with the bottom raised up to keep your feet higher. This helps soothe your feet and legs, as blood and other fluid will flow away from your feet. This is a super useful feature if your legs hurt or if you got an injury of any kind. The remote-controlled beds are often a bit more expensive. They feature complicated electronics and a lot of moving parts. They are also quite large and bulkier than their manual counterparts. That being said, they are a lot easier to use and offer a lot of conveniences. They are probably the better options for older people and others with limited mobility. The electric ones also feature preset modes that are easy to engage. You don’t have to fiddle too much to get a set up you enjoyed. The manual ones are cheaper and are easily the best if you are on a tight budget. They are less convenient than the electric ones and aren’t a good idea if the user might struggle to adjust them. Some user may not even use the adjustability because of its manual nature if you’re tired you’re more likely to just sleep instead of changing up your bed. The manual ones are usually quite bare and simply feature a frame. This makes them easy to pack, set up and might make them more desirable to a user who might move frequently. They are also compatible with the majority of the mattresses out there. Should I Get a Warranty? Most of these beds are expensive, feature complicated electronic parts and are shipped to you. It won’t be unexpected if anything happens, like a breakdown or if a part was damaged in shipping. It’s important that these beds have excellent coverage on their warranty. You don’t want to have to foot the cost of the bill if your expensive bed malfunctions on you. The adjustable beds typically have a few warranties; full, part and limited and they cycle to other the longer you have them. I described them briefly below. Full Coverage: The beds are totally covered, and the company must repair or fully replace the product. Normal wear and tear are not covered. Part Coverage: The parts will be replaced, but the company will not be responsible for service and other costs like shipping and labor. Limited Coverage: A limited warranty can cover specific parts, a certain type of defect etc., but may require you and the company to split costs. It’s important you find out what the company covers for your specific bed. Some companies offer better warranties than others and, others may not cover as much in their warranty. If you want the absolute best of the best, you can’t go wrong with the Reverie 9T. Although it is on the expensive it, you get all the bells and whistles you can ever need in an adjustable bed. The quiet motors and warranty coverage is enough to call this one of the best adjustable bed bases. It was a tough choice between the L300 and the Affordamatic, both were great options. I think the Lucid L300 is the best value option because it comes with everything you need. It also comes with few bells and whistles which is fantastic when you look at the price and the other options available. For example, none of the others in its price range have an option for a programmable preset.